We’ve had our share of hair-raising travel experiences, therefore we understand how important it is for a holiday to go according to plan. Holiday time (be it a honeymoon, family time or a well deserved reward) is important. We are here to create memories for you and your memories will be ours as we will be travelling this journey with you. We guarantee personal service all the way. We love road trips and we highly recommend activities and we will be giving you our recommendations. 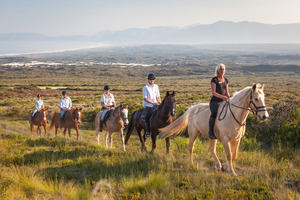 We have travelled throughout South Africa and we will only recommend activities and roads we have travelled ourselves. We offer 24 hour telephone contact while travelling in South Africa. 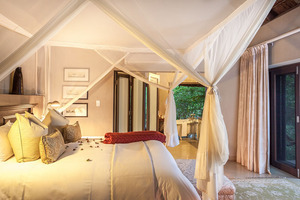 We specialise in building itineraries to suite your pocket/budget. We encourage activities while travelling in order to make the vacation a once in a lifetime experience. We only deal with approved partners to ensure that we use lodges and bed and breakfast accommodations that are reputable. We can book transfers, vehicle and motorcycle rentals on behalf of the client. We use Paypal for payments. Fantastic wildlife and experience with credit to Traipsing Africa for great planning within budget! I have always wanted to go to Africa and to experience the culture, wildlife and see the sights. We arrived in Johannesburg and flew to Port Elizabeth for our Safari. Sandra made sure that our trip went as smoothly as possible, like organizing an usher to guide us through Johannesburg airport. The safari itself was fantastic! Spending a couple of nights in the bush and hearing all the animal noises was a thrilling experience. We were carefully guided between a herd of elephants and we also spent an hour or so all alone with a pride of lions. We embarked on our Garden Route & Route 62 road trip to Cape Town and the scenery was spectacular. Sandra advised us of all the “do’s & don’ts” and we felt safe and secure the whole trip through. She also advised us of all the main attractions, as well as a few that only the locals frequent. Cape Town was amazing, and we went on a wine tour in Franschhoek, drove down to Cape Point and went up the cable car to the top of Table Mountain. We also managed to squeeze in a morning of shopping in the V&A Waterfront. The accommodation that was booked for us was both reasonably priced and a very good quality. We will certainly be using Traipsing Africa on our next African vacation. She was very helpful in planning our family trip to South Africa. I was recommended by a friend to use Sandra at Traipsing Africa for booking a 7 day holiday in South Africa with the family. Cape Town has always been a bucket list item and we were thinking we cannot go to South Africa and not do a safari. Sandra spent a load of time with me via skype and whatsapp discussing our plans, advising but most of all listening to what we had to say. 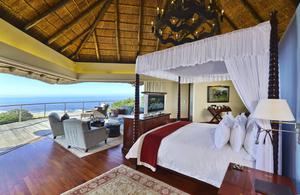 The offer of 24 hour availability while travelling in South Africa (we have 3 children) was the bonus. I am looking forward to our holiday in June next year and will definitely recommend Traipsing Africa. (data includes offering title, photo, and brief description). Is Traipsing Africa's Safaris and Tours (Pty) Ltd your company? Register to get access. You can get access to the Offerings listed on TravelDragon, allowing you to add/edit your products. Register to get access if you'd like to add or edit Offerings for Traipsing Africa's Safaris and Tours (Pty) Ltd.